When a young woman's menstrual periods get out of whack — extra-long, extra-short or intermittent — she may just chalk it up to stress and ignore it. To even out monthly cycles, doctors often prescribe birth control pills, without doing much of an evaluation first. But both those approaches are a mistake, says gynecologist Lawrence Nelson, of the National Institute of Child Health and Human Development. 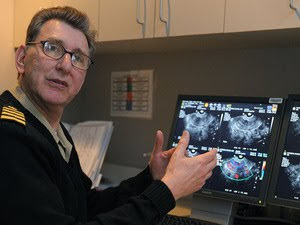 Nelson studies primary ovarian insufficiency, a disruption in reproductive hormones that affects 1 in 100 women by age 40. His research has shown that POI greatly reduces fertility, impairs bone health and often goes undiagnosed for years. Rewinding Your Biological Clock is a unique exploration of each of these issues, especially the how-to of peri- and post-menopausal pregnancy. Written by a leading fertility specialist and a health educator, this original and daring book rethinks society's most fundamental beliefs about motherhood, aging, and life itself. I totally agree about early intervention. When I started having irregular periods, I sought medical help right away. So by the time I wanted to get pregnant, it really didn't take too long for me to conceive. I know that its a case to case basis, and I totally understand how many others are feeling after a failed treatment.